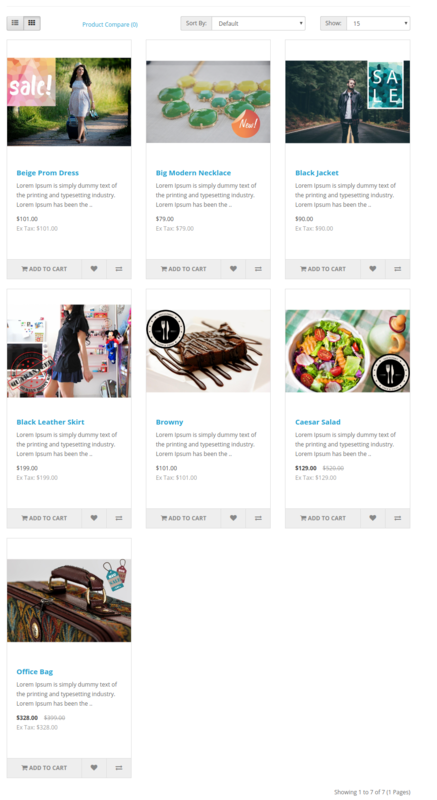 Opencart Marketplace Product Label- Now, seller and admin can highlight the products in your store with product labels.The labels can be assigned to the product for various factors new items, products on sale, and your bestselling products to increase online sales. They can be seen and allocated on different pages. 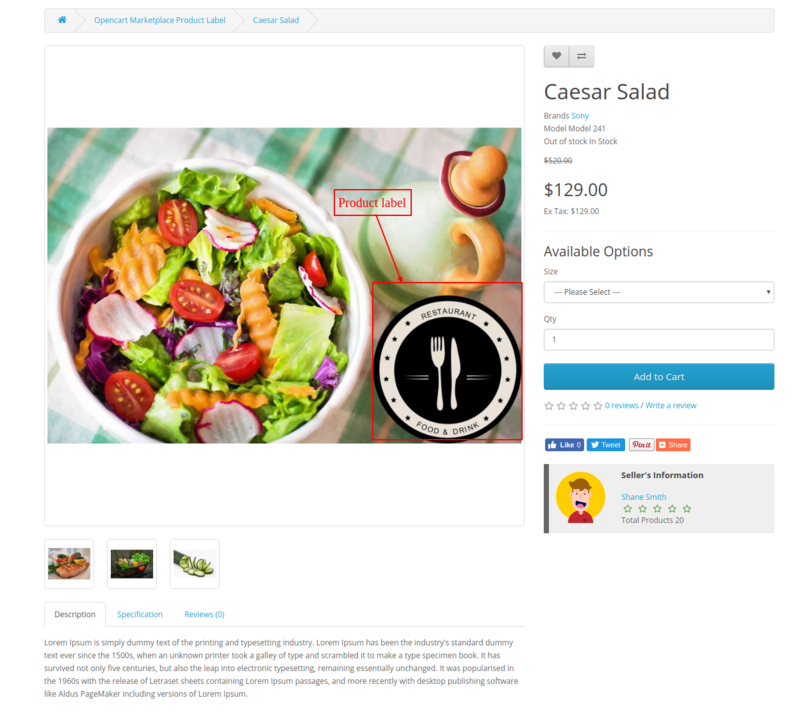 With this module, you can simply advertise the product as per your requirement via a label. This module is an add-on of Marketplace Module. 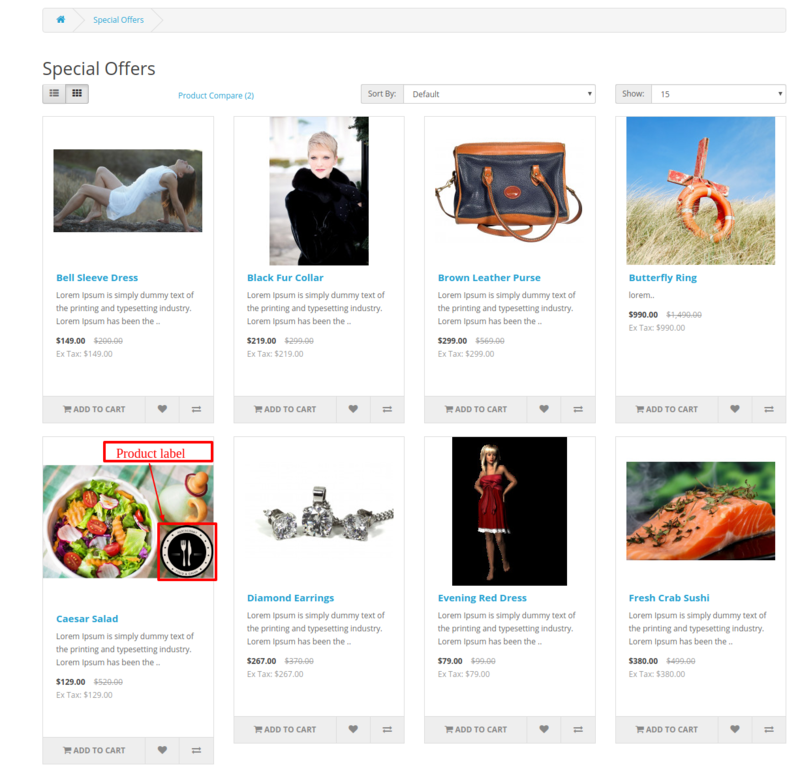 To use this module you must have installed first WebKul Opencart Marketplace Module. The size (in height and width)of the label can be set by both admin and seller. 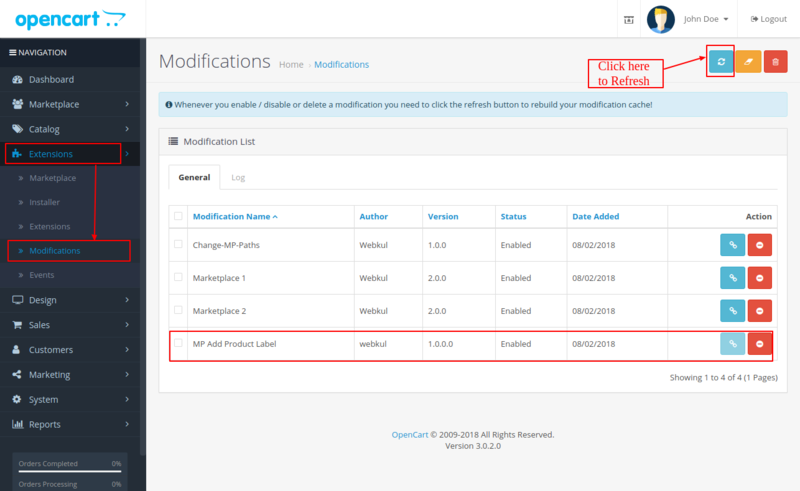 Installation of Opencart Marketplace Product Label for Opencart is very simple. After extracting the zip file, choose your Opencart Version Folder and in that, you will have two different folders for Opencart 2.x.x.x and 3.x.x.x. In boththe folder, you will find folders admin, catalog, ocmod and system folders. Now copy the admin, catalog and system folders into the root directory of your Opencart website. 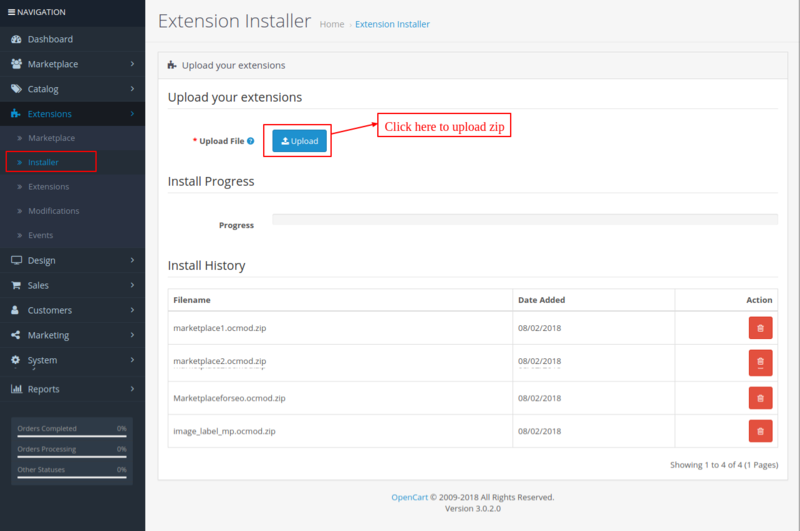 Once you have uploaded the file, login to admin panel and from catalog section go to Extensions> Extension installer and upload the XML file. The XML file can be found in ocmod folder under module directory. Under the ocmod folder, you will find mp_image_label.ocmod.xml(for 2.3.x.x) file, and mp_image_label.ocmod.xml( for other 2.x.x.x and 3.x.x.x) file. The admin can edit the module from here. Label Position- The global position of the label can set from here, which can be top left, top right, bottom left, bottom right. Width- The width of the label which admin wishes on the product image. Height-The area covered by the label in terms of height on the product image. Add Label to Product Page-From here the admin can enable or disable the label visibility from the Product page. 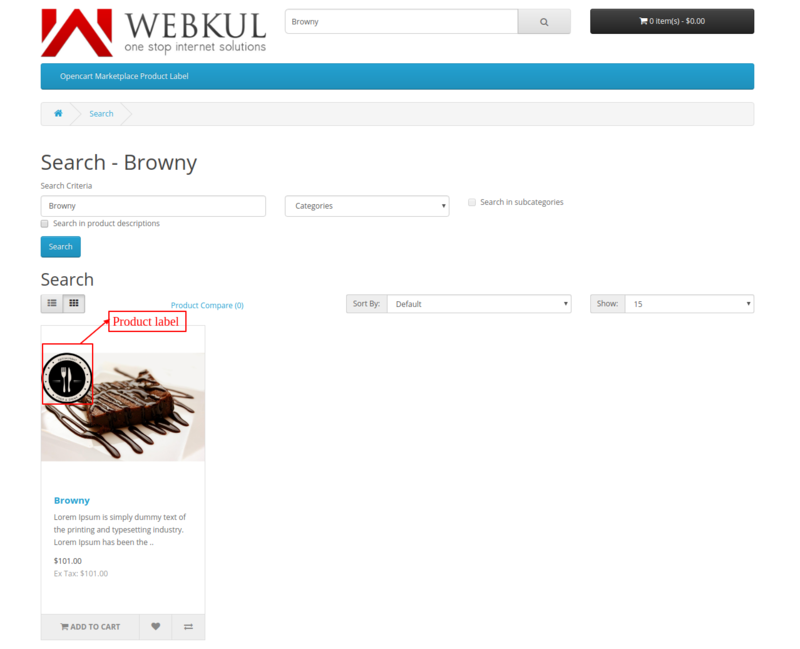 Add Label to Search Page- From here the admin can enable or disable the label visibility from the product Search Page. Add Label to Category Page- From here the admin can enable or disable the label visibility from the product Category page. Add Label to Manufacturer Page- From here the admin can enable or disable the label visibility from the product manufacturer’s page. 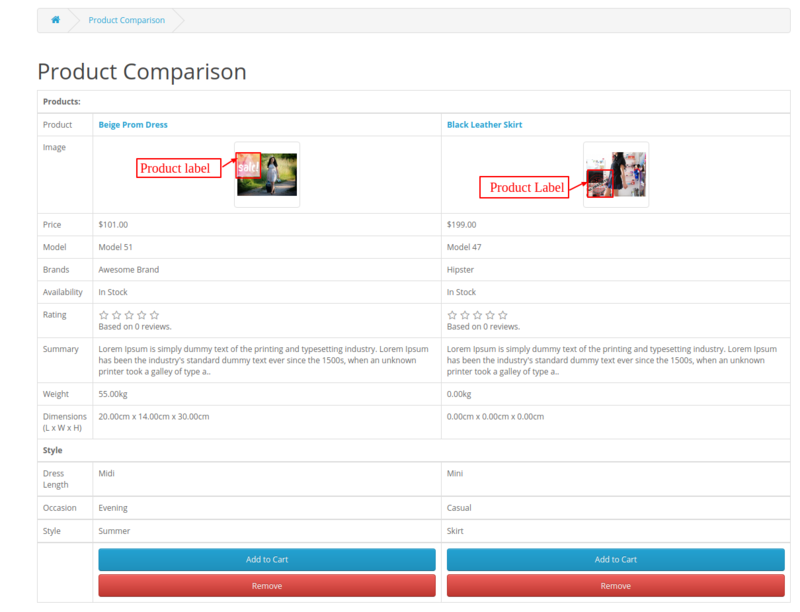 Add Label to Compare Page- From here the admin can enable or disable the label visibility from the product comparison page. 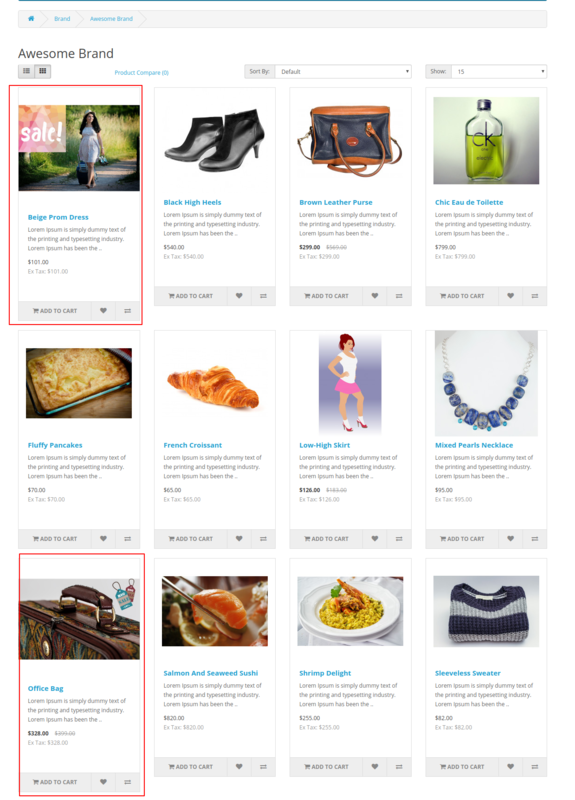 Add Label to Special Page- From here the admin can enable or disable the label visibility from the special product page. Status- From this field, the admin can enable or disable the module. Seller label’s Permission- From here the admin can choose on which pages the label will be visible to the seller. Admin needs to set permission for the Product Label on Product Tab, in Allowed Product Tabs select the mp-product-label. Admin can simply add a label to a product by going to edit product page, Marketplace>Product, then select a product to be edited. 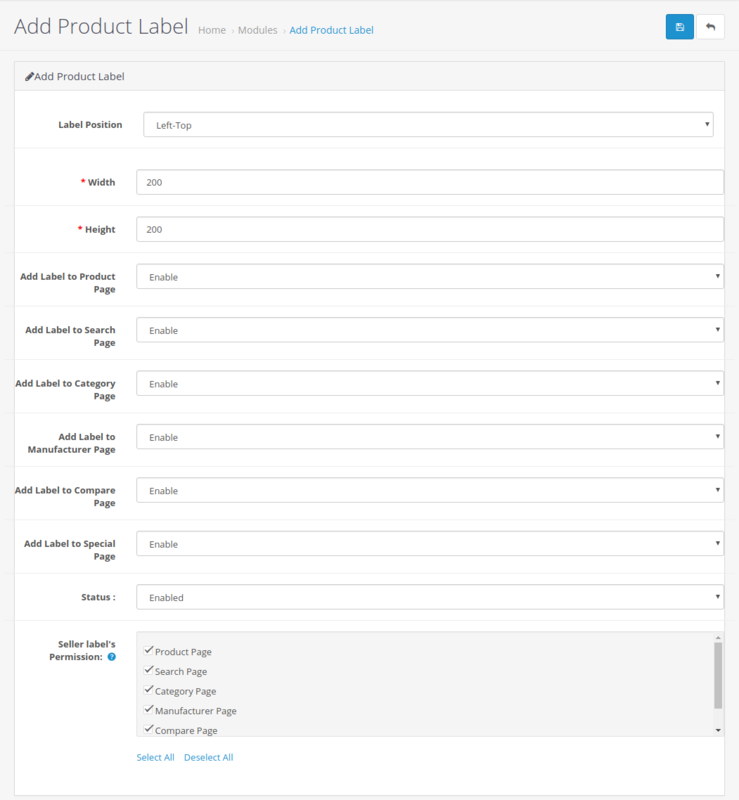 Then on Product page admin can go to Product label tab. The Seller can even add the label to the products for this they need to navigate to Product list>Select a Product, then edit the product on the Product page. Product label- This will enable/disable the product label for the product. Label Position- From here seller can tell the position of the label on the product, which can be top left, top right, bottom left, bottom right. Width- The Total area covered by the label on the product image on terms of width can be set by the seller. Height- The Total area covered by the label on the product image on terms of height can be set by the seller. Image- The seller can upload label image here. From customer front, the label can be seen on various pages.